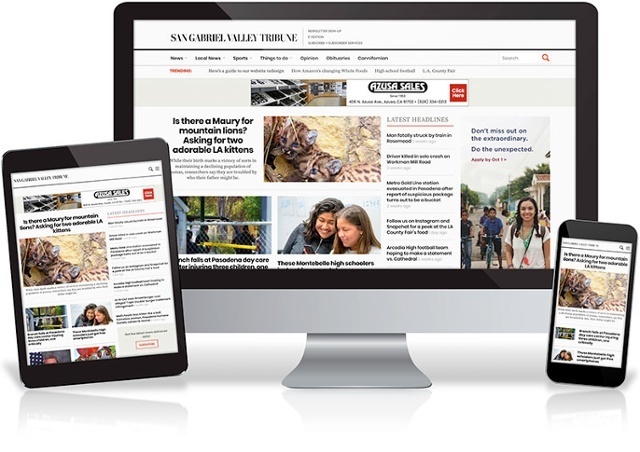 The San Gabriel Valley Trubune has redesigned its website. Here are just a few of the many new features and improvements we've made based on extensive feedback from our readers. Simple Navigation: We simplified our navigation bar to make it easier to access the stories you want. One click takes you to the latest headlines from your community, the nation and the world. Easy Sharing and Interaction: We've made it easier to share content on social networks by adding buttons pinned to the top of the screen, eliminating the need to scroll up and down. Responsive Design: Read your news easily on any device. Our clean, new design provides the best reading experience on your desktop, mobile and tablet devices. FAQ: Click below for more specific information about our newly-designed website, including answers to "Frequently Asked Questions." A new content module on the homepage makes it easier to access top stories, along with spectacular photo galleries, videos and related graphics. See highlights of the new features we've added to improve your user experience. 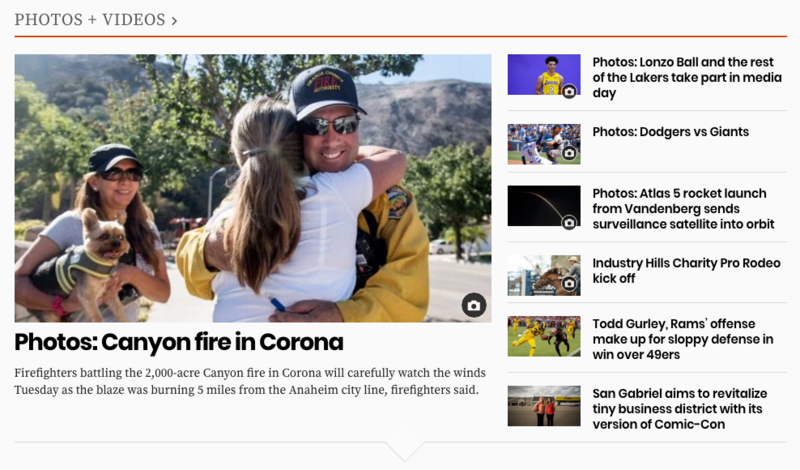 Enjoy a fresh new look for your local news - with a clean design, fast-loading pages and user-friendly navigation. Personal account management, digital E-edition access and newsletter preferences are now easily accessible. Our improved site navigation, with simple to use menus, makes finding the news you want easier and faster. With our expanding drop-down menus, we provide a large selection of content organized for ease of use and quick access. The local news, business and sports coverage that you depend on is more timely than ever. Our site search function will be more capable and helpful than ever - though it's currently disabled while our new site is being updated. Our redesigned home page has quick-read news and topics, to help you find the latest breaking news or plan your weekend. Our new photo slide shows are larger, more vivid and remain as compelling and dynamic as ever. Add your own comment on stories and have real-time discussions with others. Our new site now utilizes responsive design for easy viewing and faster load times on any device. New, improved design makes navigation easier. We've cleared the clutter and built sections that are better organized to help improve your experience in getting the news you want. We've surfaced local news with an easy to use pull-down menu on our homepage. Get local stories about your city in just one click. Click Here! Southern CA sports fans can now find the sports content they want. We've organized our sports content by teams to help you get the latest on your favorite sports teams. Click Here! We merged "Lifestyle" and "Entertainment" stories under our "Things to Do" category to better reflect what you are looking for. You can now easily find local options for entertainment, hobbies, travel and more. Click Here! Up-to-the minute news updates are easier to find. Breaking news, latest news, and most popular news will be displayed prominently on our homepage. Click Here! Vist our FAQ Page for frequently asked questions.